The life of a vehicle engine relies on engine oil. With so many iron parts moving inside the combustion system, oil is what ensures the friction reducing the gap and smooth meshing of gears inside the engine. It can be said that oil is blood for an engine and without it, the engine would not last very long and fall to its complete destruction. 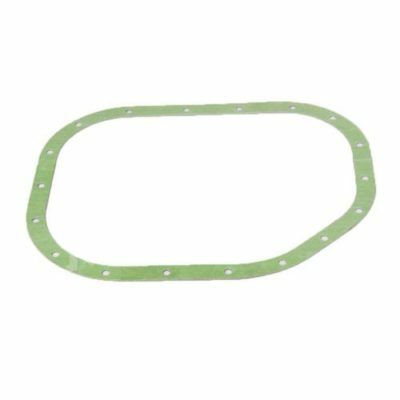 What is an Oil Pan Gasket? Engine oil not only acts as a protective liquid against the moving parts inside the engine but also as a coolant for the insides, as the parts inside tend to get extremely hot during engine operation. Too much heat would cause the insides to expand and eventually cause the engine to simply seize up, leading to complete rebuilding of the engine. A car has an oil pan which holds all the oil for the engine. The oil pan is installed beneath the engine having the camshaft rotating right above it. The cam shaft’s rotating motion repeatedly dips in the oil inside the oil pan having endless lubrication and cooling for the piston arms. Since the oil pan holds oil which is a liquid, it is held tightly together having a rubber or silicone seal between the pan’s edges and the engine’s body to prevent the oil from leaking. With time, these seals get worn out and damaged due to a number of reasons. Sometimes, excessive heat can damage the seal while many times, car bumps can dislodge the seal. Heat can cause holes in the seal which let the oil leak out from the oil pan. There are a number of symptoms which could mean there’s a leaking oil pan. A leaking oil pan is one of the easiest problems to detect. This is the easiest and the basic thing to look for to know if your car is losing oil at all. If you spot oil puddles, big or small, underneath your car’s engine area, your car is leaking oil. The leak may not always be at the oil pan but most of the times it’s the oil pan. Often times, the oil may be coming out from the air filter box due to back compression, but it’s unlikely that the oil from there finds its way to the ground as there are numerous pipes and parts which can hold the dripping oil. As oil helps cool the engine, an engine low on oil would begin to heat up quicker than with oil. If your radiator is full and there’s no leaking in there, it could mean your car’s engine doesn’t have enough oil in it, causing it to overheat. Normally, the oil light on the car’s dashboard goes out after a few seconds after turning over the ignition. If it doesn’t go away and stays there, it means there’s a problem. The oil light is a clear indicator that the engine is losing oil. The oil light should never be ignored and be looked at as soon as it comes on and stays there. Oil pan work can be quite messy, but if you have basic knowledge of gaskets and how to install them, you can replace the oil pan gasket yourself if you have the proper tools. Here’s how you can change the gasket yourself. Driving the car with low oil can permanently damage the engine. The damage will be so great that you’ll end up having to rebuild the whole engine which could cost you a fortune. So it’s better to immediately stop driving your car right after you face any of these symptoms to prevent further damage, and call a mechanic to your location. After parking your car on a level surface, unscrew the oil drain nut beneath the pan and drain all the oil in a separate pan so that you can remove the oil pan without spilling oil all over the area. You’ll need a torque wrench to take the pan off. Once you undo all the bolts, the oil pan should come off. There will still be some oil left inside the pan. You will need to thoroughly clean it before installing the new gasket. After cleaning the gasket, you can install the new gasket. 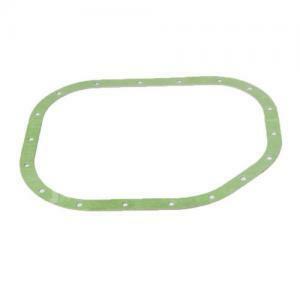 You will need the right gasket for your car’s oil pan. It needs to be accurate otherwise your oil pan might not seal properly and the leakage may persist even after installing the new gasket. An alternative for this can be silicone tubing. You can buy silicone tubing especially for the purpose of sealing and paste and set the liquid silicone around the edges but be quick as the silicone tends to set quickly. Even though silicon works too, it’s better to install a rubber gasket specified for your car. After replacing the bolts, let the silicone to dry, ensuring a good seal. After that, you can pour in new oil. Start your car and let in run for a few minutes. Then turn it off and check for a leak. If there’s still a leak, you might not have installed the seal or set the silicone properly and might need to repeat the process. If you are uncomfortable doing all this, you can visit a mechanic to do it for you. The parts and gasket should cost you about $50 and the labor costs should range from $100 to $150 but it depends on the make and model of the car. What does SAE stand for in Motor oil? 10w30 vs 10w40 Engine Oil – What’s the difference? Overfilling Engine Oil: Will it damage my engine?